As a business owner, you need to stay on top of different aspects of your business: marketing your products or services, managing your staff, securing funding and investments, creating business strategies, and making sure you don’t break the law while doing all of these and more. The ultimate goal? Profitability. Excellent financial health. Knowing your financial status is important, both to external entities (the government, finance institutions, and investors) and to your organisation’s internal stakeholders and decision makers. The process of producing statements and reports for these stakeholders is a vital aspect of financial reporting. As a small business owner, your financial reporting needs are different from those of large, publicly traded companies. Find out all you need to know about financial reporting for your business through this quick guide. An effective financial report should give you a good idea on how your business is faring. To do this, you should be able to evaluate and analyse your data based on different standards or benchmarks. How did your business do over a certain period of time? Are you doing better, worse, or similar to other businesses in your industry? Are you making money or losing money? Your financial reports show how much your business is worth, how much you are making or losing, how much of your income is taxable, and how much money is going in and out of your business through its day-to-day transactions. On one hand, an accurate picture of your company’s financial health gives you a sound, data-driven basis for future decisions and strategies to further improve your business. On the other, people outside your business will also expect you to have financial statements. Most commercial banks, for instance, require financial statements to facilitate the approval of business loans. Your financial report must have these three key components: the balance sheet, income statement, and cash flow statement. Keeping these statements accurate and up-to-date is crucial to the success and survival of your business—even the slightest accidents or mistakes can cost your business thousands or millions in losses. Your balance sheet is a snapshot of how much your company is worth, taking into account your assets (the cash and property you own), liabilities (debts and other obligations), and equities (the value of your interest in the company). This is expressed by the formula: Assets = Liabilities + Equity. Your financial report must show that both sides of the equation are equal or, as the name suggests, balanced. Correctly classifying assets and liabilities is one major challenge to small businesses when running balance sheets. A long-term liability accidentally entered as a short-term liability, for example, will make it look like your company is obliged to spend on debt payments sooner rather than later, making your company look less financially healthy to potential financers. Balance sheets are usually locked at the end of the year since it’s highly unlikely that any changes will have to be made after “closing the books.” A lot of solutions that businesses use, however, are not able to do this. As a result, accidental entries may mess up your business’s balance. To work around this, you can do one of two things. First, you may check your balance sheets every once in a while, to make sure that no unnecessary changes have been made. Your second option is to put systems in place to make sure that balance sheets from previous years are saved as historical documents that can no longer be edited. Also known as a profit and loss statement, this is a report on your company’s gains and losses over a certain accounting period. It records every sale and operating expense, down to the last dollar, as well as accruals such as foreign exchange gains and losses. Just like with balance sheets, the accuracy of your income statement can make or break your company. Any inaccuracy may result in diminished profitability ratios, which can hinder you from securing the loans or investments to grow your business. It can also lead to unnecessary costs as well as errors in inventory projections. An income statement includes two main components: operating and non-operating. Both of these include revenues (total sales) and expenses (costs of goods or services sold, plus expenses such as rent, salaries, utilities, and bank fees). Take note that you must include both cash and non-cash gains and losses. Your cash flow statement shows where your money comes from and where it goes. While it seems almost similar to an income statement, cash flow statements include only cash transactions. 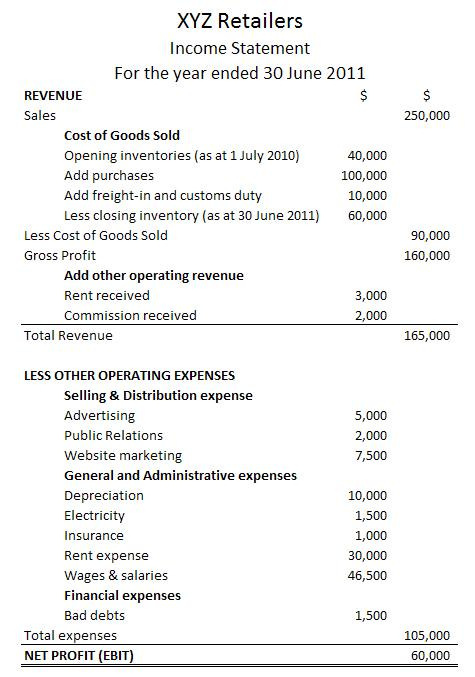 Income statement includes non-cash gains and losses. 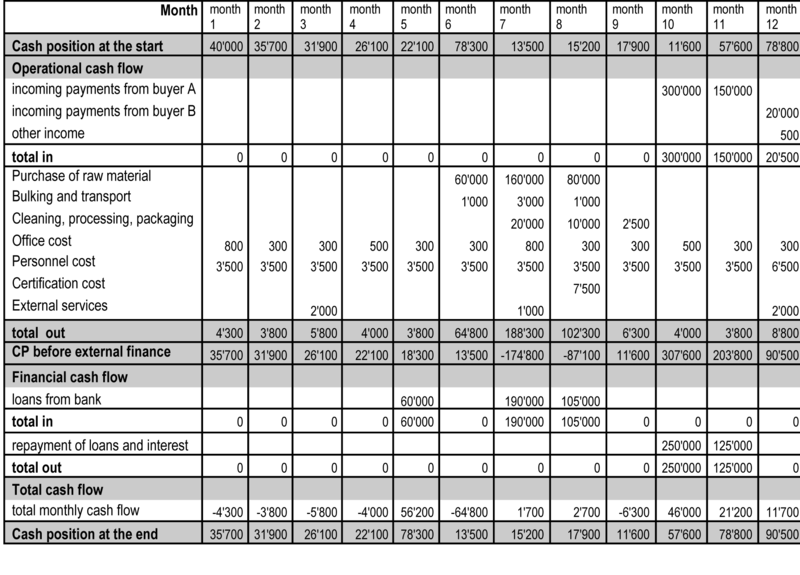 The net inflows and outflows must equal the cash balance increase or decrease as indicated in the income statement. Hence, to prepare the cash flow statement accurately, you must make sure that other parts of your financial report—the balance sheet and income statement—are accurate as well. Since your cash flow statement is a gauge of your business’s overall liquidity and solvency, accurately reporting and appropriately classifying cash flows are vital, especially for attracting investors or financers. Internally, your cash flow statement is a good indicator of your ability to cover upcoming expenses such as rents and employee salaries. Many businesses, unfortunately, end up with inaccurate cash flow statements due to basic accounting errors. Such inaccuracies, therefore, may throw off investors, get your loans denied, or make you spend cash you do not actually have. Accurate preparation of financial reports is important to internal and external stakeholders and decision makers. While financial reporting may be indispensable as a self-monitoring tool within your company, your financial statements should comply with mandatory legal standards. In Singapore, for example, these legal standards are generally governed by the Singapore Financial Reporting Standard (SFRS), based on the International Financial Reporting Standards (IFRS) issued by the International Accounting Standards Board. As enterprises around the world cross more international borders and as business owners take on overlapping markets, the demand for more sophisticated methods of business financial analysis also tends to increase. This raises accounting standards all over the world to ensure the transparent, seamless, and optimal function of global markets. Compliance with these standards not only means you avoid any legal sanctions. It also means that your financial statements are prepared using the same standards used by another business in your locality, or even a different country or continent. This allows you to evaluate how your business is doing, in comparison with other companies like yours. With limited financial and human resources, small business owners usually end up exhausting an equally important yet also limited resource: time. Whether you’re doing the financial reports yourself or paying someone to do it, you may encounter several challenges that could cost you money or waste time you could have spent on other aspects of growing your business. Assuming that you can afford to hire or outsource your business’s financial functions, finding the best people with the skills and experience to suit your needs can still be challenging. On top of this, businesses that produce their financial reports manually end up exhausting their already limited labour resources even more. Along with the constantly evolving business landscape comes constantly changing compliance standards. Even the slightest changes or additions to these requirements may oblige you to change internal processes, which is often time-consuming and resource-draining. Even the slightest data entry inaccuracies or technical glitches can bring huge losses to your company, compromise your access to financing, or worse, damage your financial integrity. The culprit? Look no further than traditional, standard data management tool that most business owners still insist on using: manually-processed spreadsheets. Manually processing your financial reports and statements through Excel can cost you a lot of wasted time, money, and human talent. The tiniest errors in formulas can mess up an entire report, while the mind-numbing task of manually entering data and formulas eats up hours of human labour. If you have multiple people working on your financial statements, even the smallest inconsistency among different versions of files and templates may lead to duplicated efforts, wasted time, and possibly even more reporting mistakes. Manual data processing also leads to delays in accessing information that may be important in making time-sensitive decisions or purchases. It also means that you or your staff will sometimes have to rush work to meet deadlines, which increases the possibility of making costly mistakes that lead to wrong decisions. Consider the time you spend on financial reporting as investments. While it may seem counterproductive to devote time and financial resources to preparing financial statements, it actually helps your business run more efficiently. It saves you time and money while protecting you from potential legal repercussions of inaccurate or substandard reporting. Streamline your processes to ensure that your data is always up to date. Develop a system that includes contingency measures in case of staff turnover or changing compliance requirements. However, keep in mind that there is no one-size-fits-all approach to this. Equip yourself with tools that work for you. You don’t need to be a slave to Excel forever. 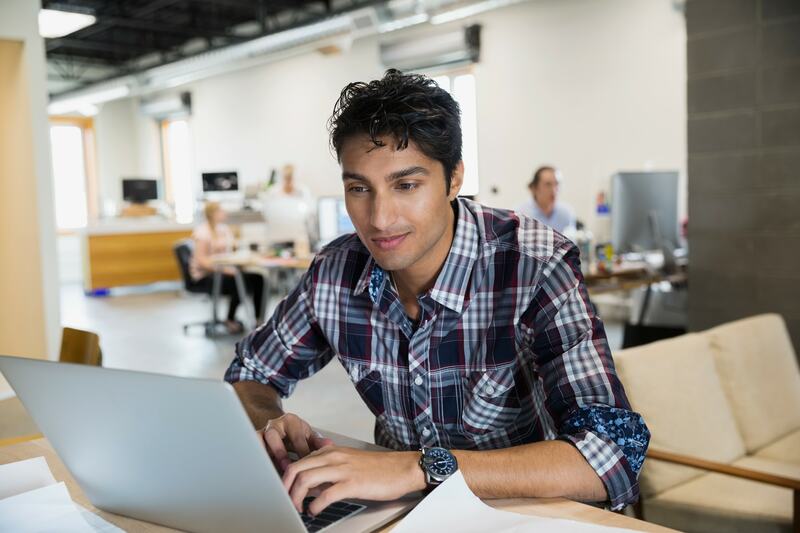 Contrary to misconceptions, small and large businesses can benefit from technology solutions that keep up with the demands of increasingly competitive markets while keeping in sync with compliance requirements. Allocate time and resources more efficiently. Most people would rather do something else than manually crunch numbers. With an automated reporting system, you spend less time figuring out the nitty-gritty details and technicalities of accounting, thus freeing up time and resources. Make accurate and informed decisions. By standardising all your reports and consolidating your data in a cloud-based system, an efficient ERP solution eliminates duplicated work and spares you from the tedious task of reconciling inaccuracies or correcting mistakes. Automation also makes the information you need more readily available, making it easier for you to make time-sensitive decisions. Be more in control of your business. Having an accurate picture of your company’s financial health also empowers you to objectively strategise, forecast, and plan your finances. You can get a better grasp of how your business is doing through an accounting software that works along with standard spreadsheets and allows flexible comparison and analysis of financial data using various parameters. Financial reporting is, indeed, an indispensable task to keep your business running. This, however, doesn’t mean that you need to spend more time, energy, or money than necessary. Through a comprehensive and integrated financial management solution, you can generate accurate, timely, and compliant financial reports that provide you with more returns in the long run. Find out how SAP Business One can help you stay on top of generating your financial reports through cloud-based, automated, comprehensive financial management solutions.